Ricoh Theta Z1 is the flagship model of the Theta family of 360 degree cameras, offering an optimal performance for professionals and amateurs alike. And its small enough to fit in your pocket! 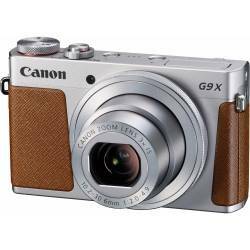 The camera has a body made of lightweight and robust magnesium alloy that can withstand severe use. The surface also has a texture that gives a luxurious feeling suitable for a high-end model. 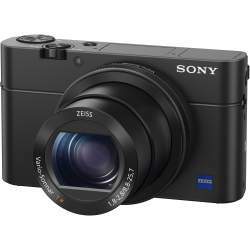 The compact main body is equipped with a large, highly sensitive, back-illuminated 1-inch type CMOS image sensor, enabling 23 megapixel resolution 360° degree still images with exceptional image quality. The improved lens keeps ghosts, flares, and purple fringing to a minimum and the Theta Z1 also has an adjustable aperture that can be set to one of three levels; F2.1, F3.5, and F5.6. In bright light, you can increase the sharpness by closing down the aperture to F5.6 while F2.1 can be used for letting more light reach the sensor when shooting in dark conditions. 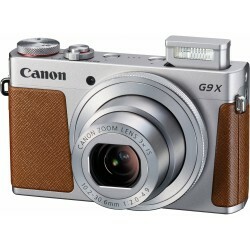 The camera also has sensitivities up to ISO 6400, allowing you to take pictures in a wide range of lighting situations. Dynamic Range (DR) compensation is automatically made for normal shooting, effectively reducing blown out highlights and pitch-black shadows in situations where there is a large contrast between bright and dark image areas. 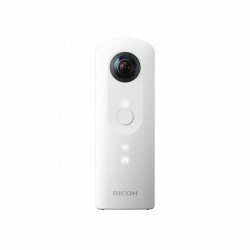 Ricoh Theta Z1 also supports RAW format (Adobe DNG) so that users can edit the files as carefully as with images from a digital SLR camera. Theta Z1 can shoot 360° videos in 4K (3840x1920 pixels) at 30 frames per second (fps) and thanks to a powerful 3-axis rotational stabilization it can also compensate for rotational shake, providing really smooth video sequences. Aperture-priority (Av), Shutter-priority (Tv), ISO sensitivity (ISO), and Manual (M) modes can be used to create the perfect setting for every subject. 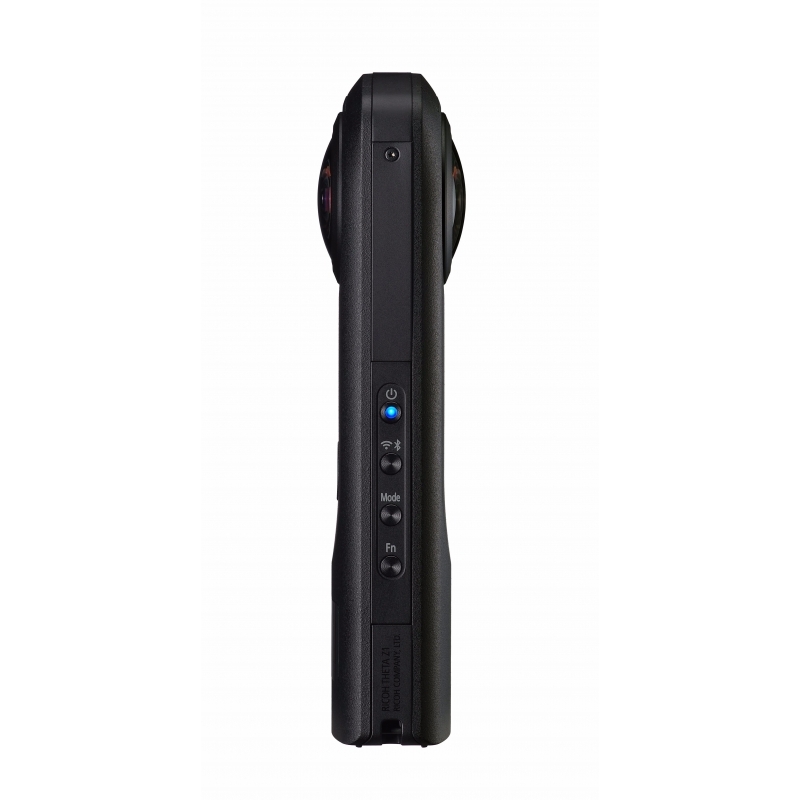 Theta Z1 is also equipped with a built-in 4-channel microphone that allows the camera to records sound in 360 degrees, that is omnidirectional, reproducing overwhelming realism! 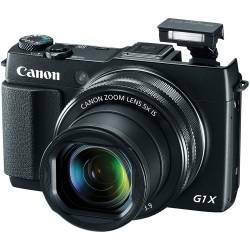 The main body of the camera has a 0,93-inch monitor that can display a multitude of information at a glance, including number of possible shots, exposure settings, and more. The Android based system offers flexibility in number of expansions one can add to the Z1 through the installation of additional plug-ins. For example the “Time-shift Shooting”, that makes it possible to avoid having the photographer’s reflection visible in images. Thanks to 19 GB built-in memory the Ricoh Theta Z1 can store lots of videos and images. Built-in wireless connection also makes it easy to share your recorded material. 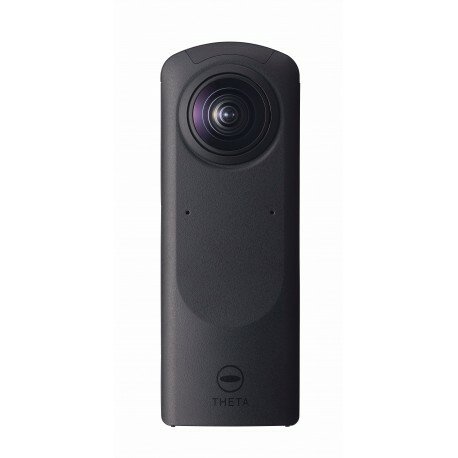 It can post 360-degree spherical images directly to Facebook or upload them to the theta360.com website and share them on other social networks such as Instagram, Twitter and Tumblr. And of course you can submit your material to YouToube 360-degree channel and to Google Maps. 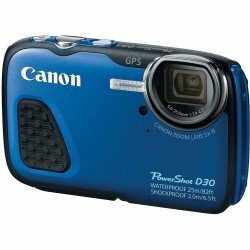 Power-saving Bluetooth technique allows the camera to be constantly connected to a smartphone without draining the battery of power. Konsultācijas, kā izvēlēties kompaktkameru. 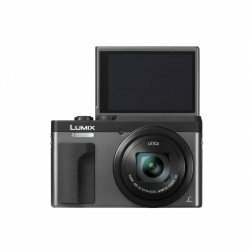 Kura kompaktkamera ir labāka? Palīdzība izvēlēties kompaktkameru no RICOH/PENTAX, vai no citiem ražotājiem. RICOH/PENTAX RICOH THETA Z1 360° degree camera 4K video, Wi-Fi kompaktkameras atsauksmes. Paskaidrojumi par RICOH/PENTAX RICOH THETA Z1 360° degree camera 4K video, Wi-Fi kompaktkameras priekšrocībām, plusiem un minusiem. Salīdzinam RICOH/PENTAX RICOH THETA Z1 360° degree camera 4K video, Wi-Fi ar citam kompaktkamerām. Konsultācijas, kā pareizi rīkoties un labāk izmantot kompaktkameru. Individuālas apmācības, kā lietot kompaktkameru. RICOH/PENTAX kompaktkameras sagatavošana darbam - konfigurācija, kalibrācija, programmatūras uzstāsīšana vai atjaunināšana. Projektu, tāmes un iepirkuma dokumentu sagatavošana, kur ir iekļautas kompaktkameras. 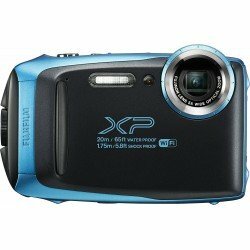 RICOH/PENTAX kompaktkameras profilakse un tīrīšana. Ieteikumi, kā apkalpot, tīrīt un aizsargāt kompaktkameru. 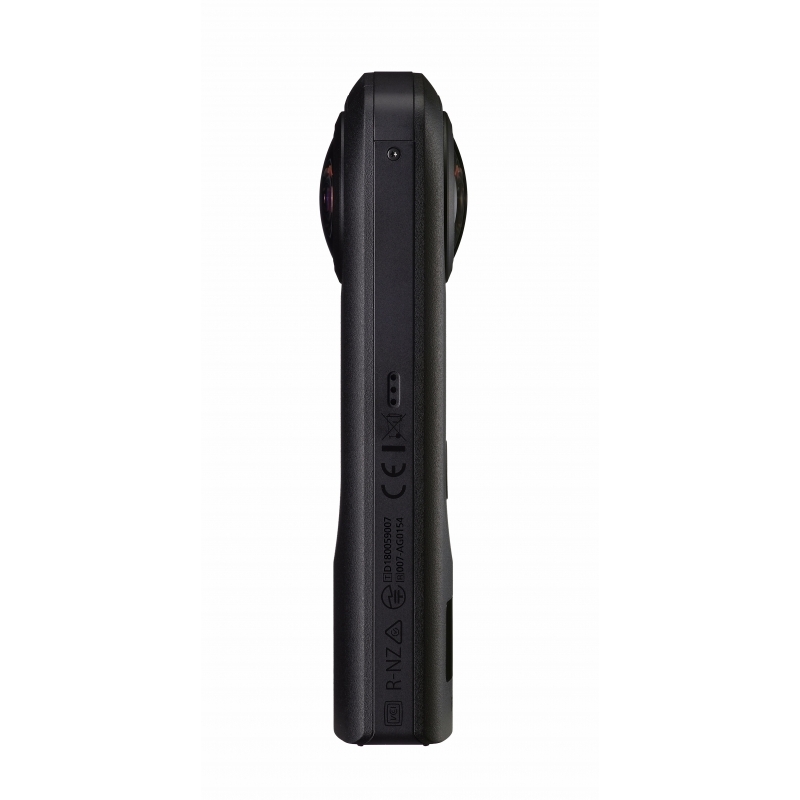 Nodrošinam RICOH/PENTAX kompaktkameras remontu un piegādājam rezerves daļas priekš RICOH/PENTAX RICOH THETA Z1 360° degree camera 4K video, Wi-Fi. 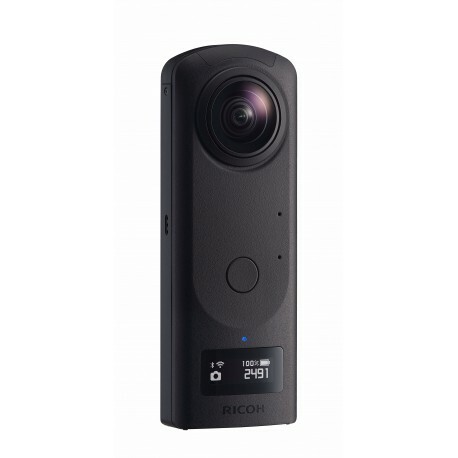 Pasūtot RICOH/PENTAX RICOH THETA Z1 360° degree camera 4K video, Wi-Fi no RICOH/PENTAX ražotāja, tās piegādes laiks parasti ir 5 - 6 dienas.